When you get a service or visit a place and you don’t like who you are treated or you like it and want to thank them, you can post a review at the right places to make a compliment for the amazing service or to give a complaint if you are not satisfied with the service. Nowadays with the right app you can easily post and read reviews about services and businesses. 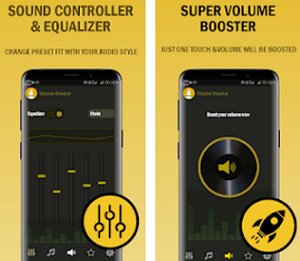 In order to help you we searched and discovered one amazing app to help you with that. Let’s see what the app is all about. What is LOQUA all about? 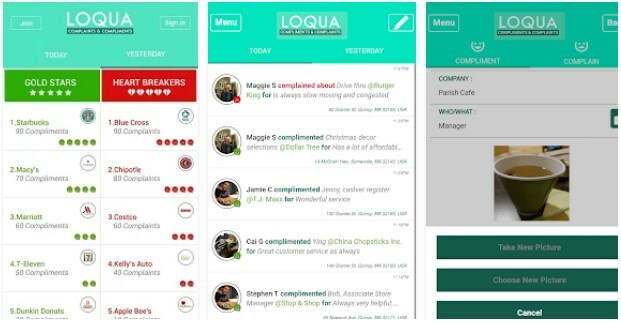 LOQUA is developed for android users, easy to use, very simply, offering users a quick and efficient way for them to post reviews for services and businesses. By using the app users have the chance to give compliments and complains about people and the services they gave them, helping other users to stay informed of which places to visit and which to avoid. Users can recognize a good service and post a positive review about it or to simply give their opinions to businesses to better their services. The app allows users to give opinions and to read other user’s opinions to stay informed. On this app users will use very practical and helpful features in order to keep track with services and places they must visit or avoid. Without much effort, easily and quickly users have the chance to thank people for their services by giving them gold stars as a positive feedback or they can complain about the service they’ve got or the business in general by giving it heart breakers. With the reviews users can also post photos to make it visible to other how good or how bad the service was. Users with the help of this app can spot places of yesterday and today that are low-scoring and high-scoring, see reviews from other users to stay informed constantly and to know which places are worth visiting and which places are not. The user can also tweet their review posted via the app to make it more visible for other people. 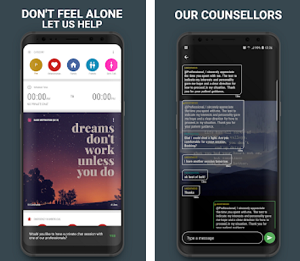 With the app users can thank people for services or complain to help them improve. Download it for free now on Google Play to give your opinion of the places you’ve visited!